It’s the night before a big business meeting and you’re stressed. It’s totally normal, but do you know what happens when you have a mini-freak out? Your skin often has a mini flare up. Research shows that people are more likely to respond positively to good skin, so we asked our friends at Origins how to make sure we’re all putting our best business face forward this year. Their advice? Mix and mask your way to glowing success – and skin! To maximize success, Origins just released a totally new innovation in masking to obtain even greater high performance results. Maskimizer™ Skin-Optimizing Mask Primer is the first-ever mask primer to prep, prime and hydrate skin, leaving it more receptive to the high performance benefits of Origins masks. Just a few spritzes of Maskimizer on clean skin before mask application enables you to mask and relax. Next, choose one of Origins Single-Use Mask Pods, which are also perfect for carrying in your purse or stashing in your desk if you’re on the go. There are so many fan-favorites to choose from, but here are our favorite combinations! When you’re meeting one-on-one with a new client, your face is front and center, but nerves and stress can make you red and blotchy. Get “Out of Trouble” before your meeting with an easy ten-minute mask. This super absorbent mask redefines texture and wards off future outbreaks. That way, you’re securing your future by emphasizing your business know-how, and not your problem skin. Glowing skin is like a great hair day, it can give you the confidence boost you need before meeting with a potential employer. After all, you want them to focus on what you’re saying, not any skin issues. Show them how you’re a true “Original” by outlining your best traits and what you can add to the company. Your glowing and radiant skin is a bonus. A meeting with the boss can be stressful, even to employees who are in good standing. But if you’ve shown “Clear Improvement,” that’s the mask you should use. 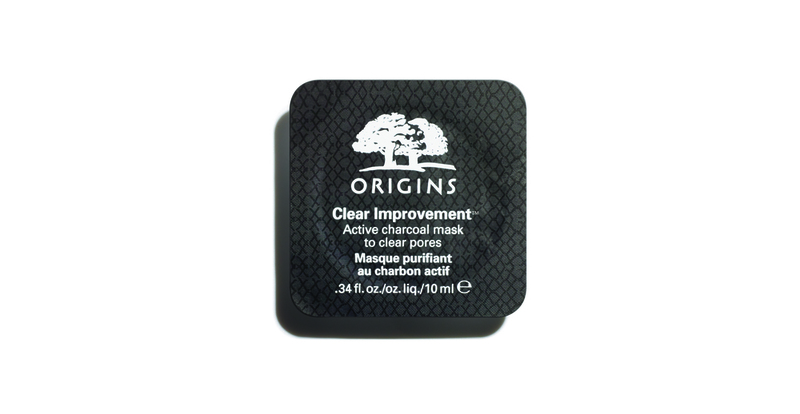 This active charcoal mask clears your pores, absorbs environmental toxins, and dissolves impurities. Which means, while you’re outlining the progress you’ve made as an employee and giving your boss reasons to give you a raise, your skin is working for you as well. Hopping on a flight to pitch a new client can seriously dehydrate you. So what’s girl boss on-the-go to do? Before you take off, opt for the “Drink Up, Intensive Overnight Mask.” The avocado and apricot kernel oils instantly quench compromised moisture reserves and help build a reservoir for tomorrow— which you’ll need once you’re up in the air. And remember the best way to leave a killer impression in any meeting, is to be yourself. The best you is the one that’s comfortable in her skin— we’re just helping you give it some major glow.